Electric Run, the country’s brightest and most outrageous 5K run/walk, is coming to Los Angeles on Friday, May 24th with actress Vanessa Hudgens leading the pack through a technicolor wonderland weaving throughout Home Depot Center in Carson. Electric Run LA will partner with Smile Train, donating a portion of proceeds to the nonprofit that brings smiles to children’s faces by providing a child born with a cleft the same opportunities in life as a child born without a cleft. Electric Run is like no other run: the original spectacular of its kind has attracted over 100,000 Day-Glo clad participants, including Carmen Electra and Seth Rogan, to its events. The all-ages, nighttime event features premier musical acts, an energized crowd and over 1 million watts of mesmerizing light art installations, such as glowing neon trees, rainbow-hued tunnels and lit-up lakes. Electric Run LA promises to be a star-studded event from start to finish. Hudgens will be kicking off the race and Charissa Saverio, aka DJ Rap, the undisputed queen of the turntables, will be pumping up the runners at the finish line. Electric Run has also partnered with leading active lifestyle brand Neff Headwear, creating Neffmau5 Land, an EDM wonderland dedicated solely to the Deadmau5 x Neff collaboration. Neffmau5 Land is a special section of the 5K course with Deadmau5 music pumping and special Neffmau5 lights and visuals mixed into the race track. At its core, Electric Run is founded upon giving back to the community. With each event, Electric Run donates proceeds to a philanthropy in which it firmly believes. Partnering with Smile Train for the second time now was an easy decision. “To partner with an organization such as Electric Run that focuses on celebration and smiling is particularly special to Smile Train and brings much needed awareness to our mission to help children suffering from cleft. 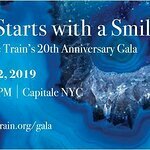 We are so grateful to be the beneficiary of the LA race and hope to continue doing so in many years to come.” said Troy Reinhart, Director of Donor Engagement for Smile Train. Online registration for Electric Run LA is between $45 and $60 depending on registration dates and volunteers are also encouraged to sign up at www.electricrun.com/losangeles/. Over 10,000 people are expected to participate in Electric Run LA. Electric Run has expanded to over 70 cities nationwide, including San Francisco, Austin, New York, Chicago, Atlanta, Houston, Portland, Madison and Seattle. For more information about this or any Electric Run events visit: www.electricrun.com.